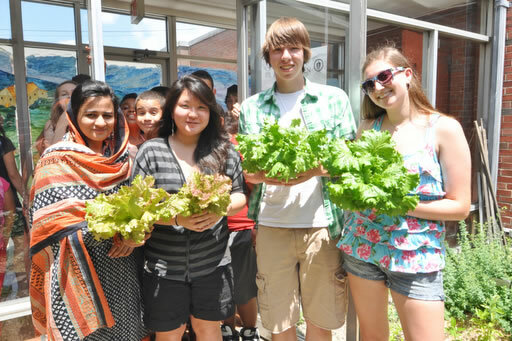 At UMass Amherst, locally grown isn't just on the menu—it's on the syllabus. Anyone familiar with UMass Amherst and its land-grant origins knows that the university trains some of the finest agriculture professionals in the world. But history scholars planting Shakespearean-era strawberries? Campus-grown microgreens in the dining hall? Student-to-student CSA shares? 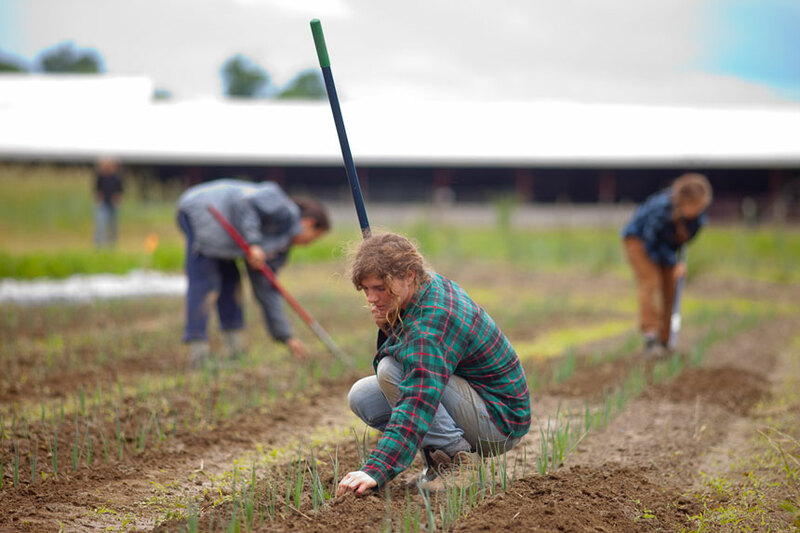 There are now more ways than ever for UMass Amherst students to get their hands dirty, whether they choose to spend a year cultivating a two-acre farm or an hour a week harvesting kale. It’s all part of a campus-wide initiative to engage students, faculty, staff, and the public in creating a healthier planet and more sustainable communities. What exactly does a sustainable community look like? Stroll down to one of the UMass Amherst Dining Commons and find out. 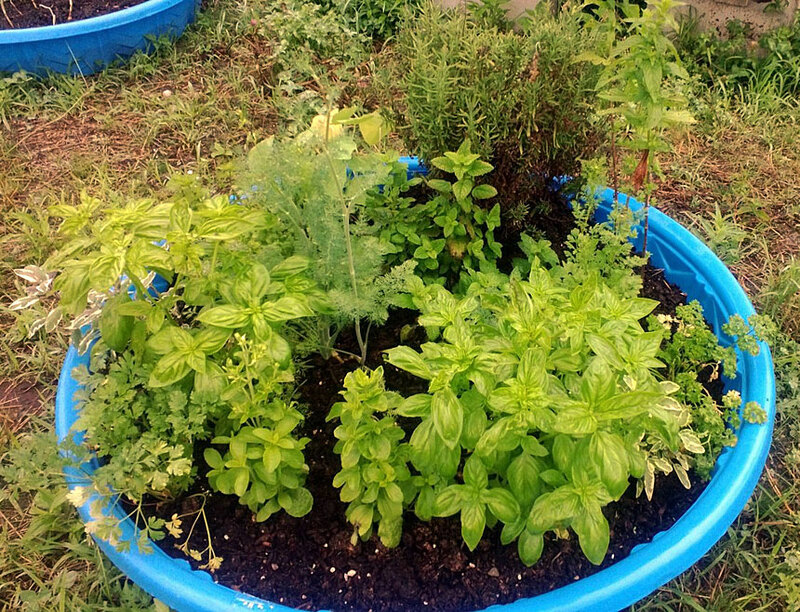 On what were once underused patches of lawn, students in the UMass Permaculture Initiative have created “edible landscapes” that have to date produced more than 4,000 pounds of food for the university’s dining halls. Compost from those meals is in turn used to enrich future crops—just one example of the permaculture system in action. 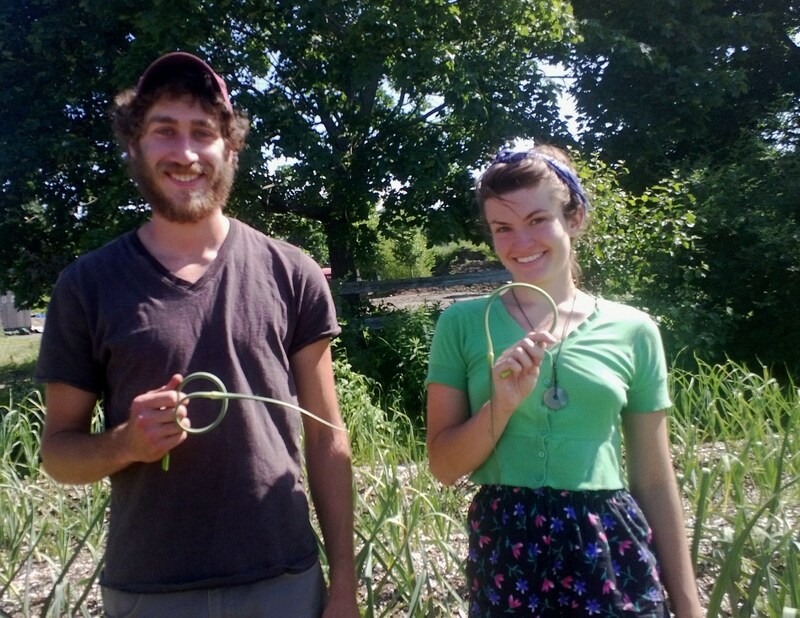 Students can receive credit for their work in the gardens through a partnership with the Stockbridge School of Agriculture, which provides faculty mentors to the student-run program. In addition to planting and harvesting, students design and lead experiential gardening projects for the campus and community at large. More than 1,300 volunteers have taken part, ranging from local K-12 students to a crew of UMass Amherst football players. 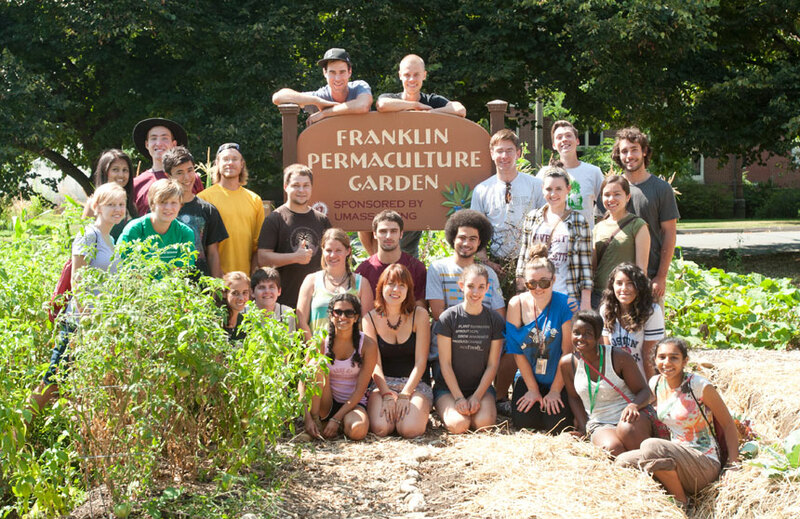 With its growing roster of awards, including first place in the White House Campus Champions of Change Challenge, and its sponsorship of speakers such as author Francis Moore Lappé, the initiative has played a large part in making the Pioneer Valley a national center for permaculture research. 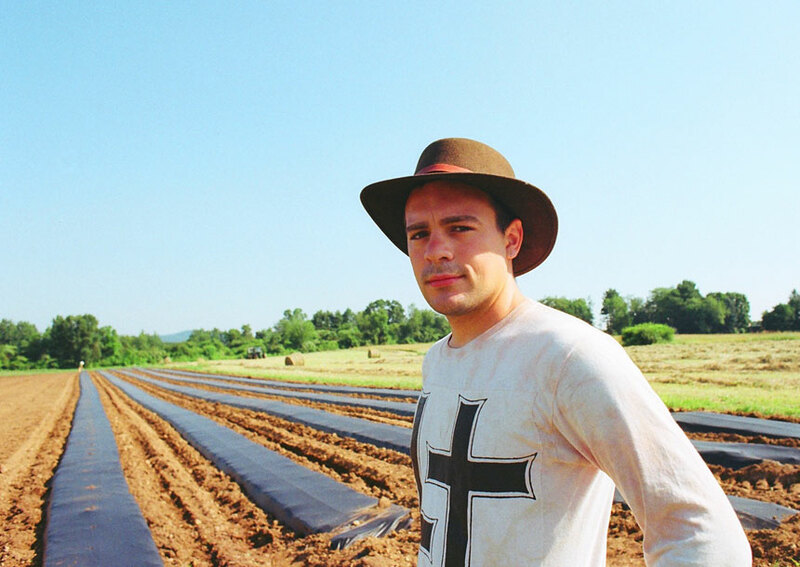 “I think we’re at the cusp of building a network of colleges and universities around the country” devoted to sustainable agriculture, the Permaculture Academic Coordinator, Ryan Harb recently told the New York Times. 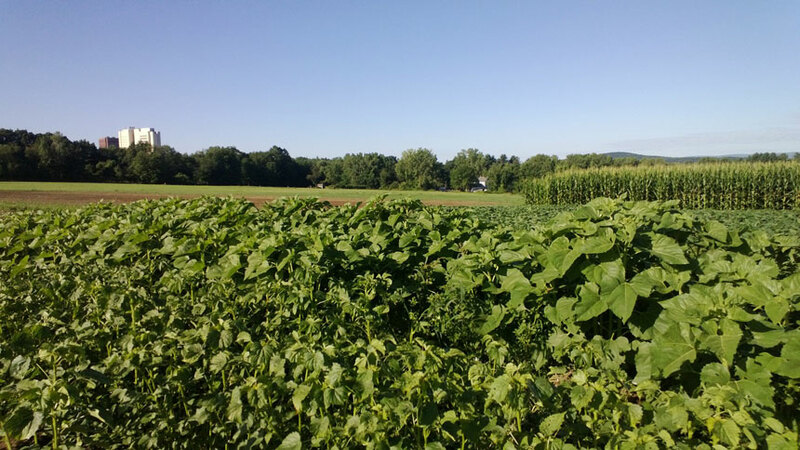 Thanks in part to the permaculture initiative, UMass Amherst heads that list. The university also heads the list of schools taking sustainability from classroom to field and back again. 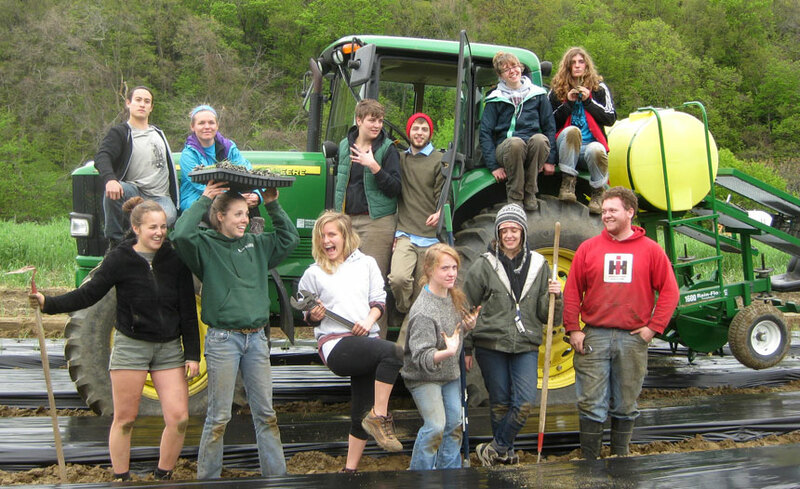 Students can put their values to work throughout an entire growing season by joining the UMass Amherst Student Farming Enterprise, a year-long course under the Stockbridge School of Agriculture that’s also a fully functioning campus CSA. From its humble origins as an independent study for two kale-growing students, the three-credit course has blossomed into an academic, science-based program that takes students through a spring design and planting phase, summer farming component, and autumn harvest, culminating in the sale of 50 shares of campus-grown organic produce to UMass Amherst staff, students, and faculty. This year, each share will include fifteen pounds of produce per week for ten weeks, from September through November. So popular has the program become that its production area has expanded beyond its original two-acre plot near campus to an additional space at the new 40-acre UMass Amherst Agricultural Learning Center. Working at the center will help students integrate their experiences with other campus agriculture programs as they learn everything from high-tunnel technology to market strategies. 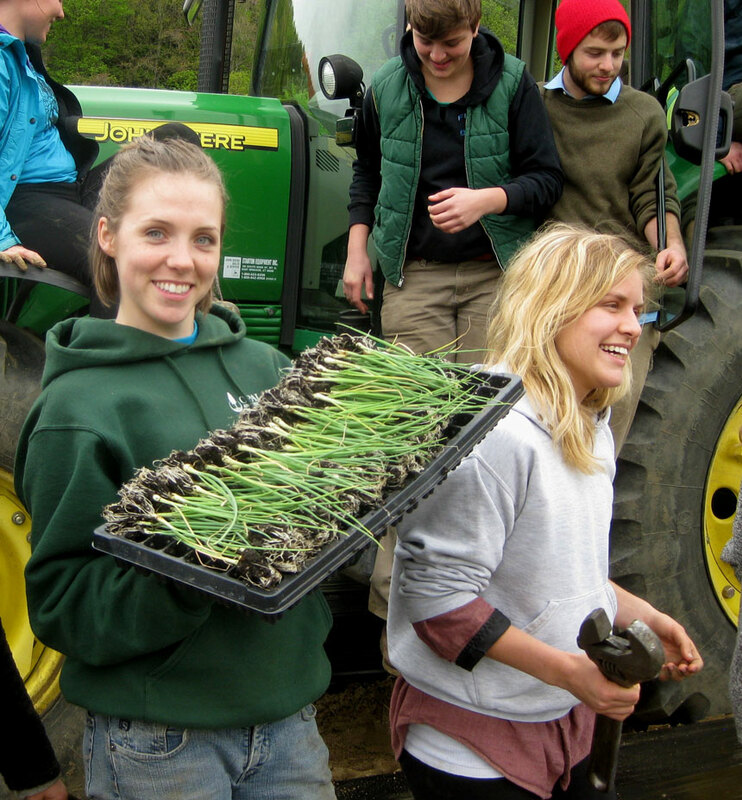 The science and agriculture majors in the Student Farming Enterprise often go on to manage farms or find employment with national farming associations. 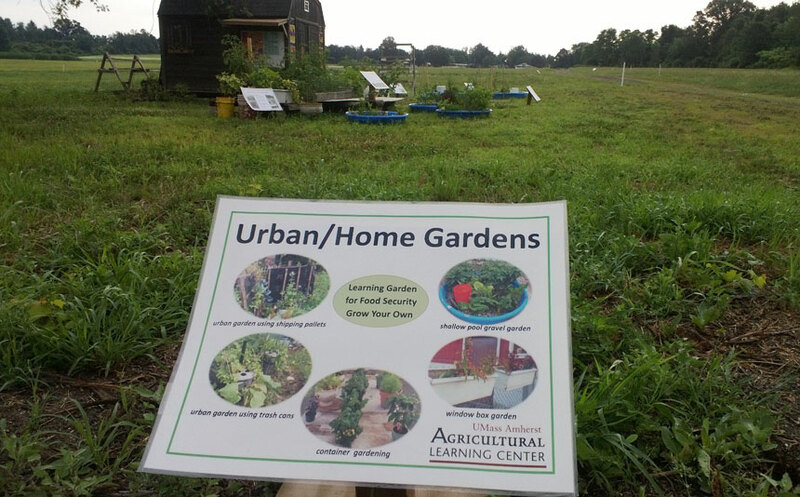 At the opposite end of the spectrum are the many English, history, archeology, and other non-science majors who choose to spend their free time at Gardenshare, a student-run initiative that invites participants from all disciplines to learn how to grow their own food. 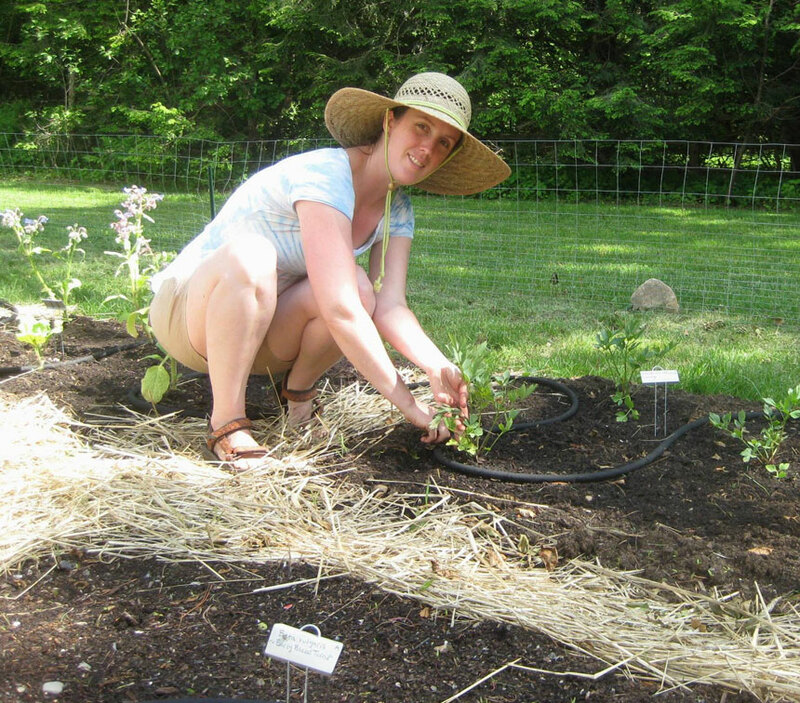 Many have no previous gardening experience, but go on to lead work days, workshops, and festivals to introduce their peers, teachers, and Massachusetts residents to sustainable gardening practices. What would go better with all that student-grown bok choy than some ‘Fuggle’ hops and ‘Scotch Flag’ leeks to sweeten the stewpot? 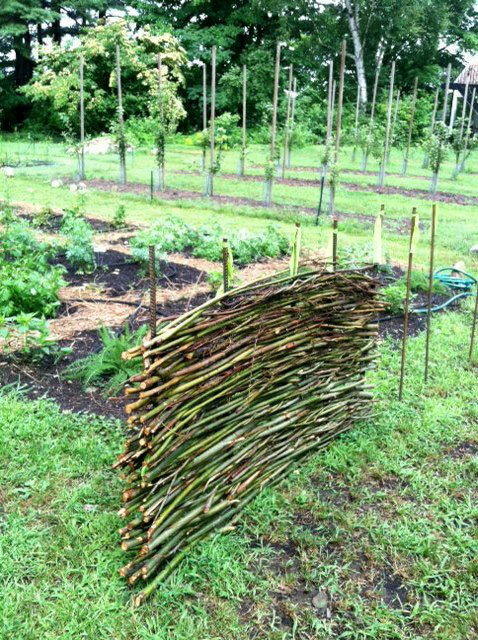 The new pottage garden at the Massachusetts Renaissance Center, developed by students at UMass Amherst and Mount Holyoke College, recreates a typical 16th-century kitchen garden, down to its willow-branch wattle fencing. Nearly all the plants grown are heirloom varieties of vegetables and herbs that an English commoner would have used for medicinal purposes or to create pottage, a simple but hearty stew that served as a dietary staple. It’s this renewed focus on sustainable agriculture that is guiding the evolution of one of the most highly anticipated resources on campus—the new Agricultural Learning Center. In fact, this hands-on laboratory for students and the public could be said to tie all of the university’s classroom-to-field agriculture initiatives together. Sustainable-agriculture enthusiasts from throughout the university are developing projects for the center’s land and its historic buildings, including areas for modular polyculture, beekeeping, permaculture, green industry turf, and ethnic crops. And while the center is a living reminder of the university’s past, it’s also an ideal setting for student innovation, whether they’re future architects experimenting with backyard garden design or geology majors learning to dig wells. 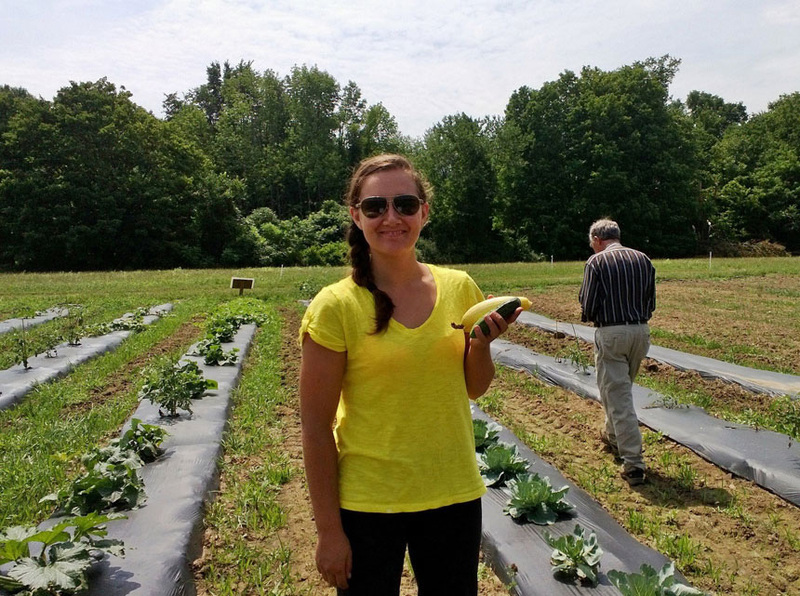 Through these and all of the university’s farming-based initiatives, more students from ever more disciplines are finding ways to put learning to the test in their own backyard—creating the cross-pollination of ideas that gives UMass Amherst its dynamic spirit, and a sustainable future its most promising hope.